There are a number of factors other than fish behavior that determines compatibility between different species of fish. Some of the considerations are like pH of the tank, water temperature and water hardness. Let’s take an example of some of the most common freshwater aquarium fish. 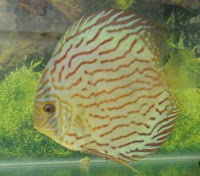 Discus is regarded as highly sensitive fish when it comes to disease susceptibility. Although aquarist has made an effort to mix them with other tropical fish species such as angelfish and corydoras catfish, the parasitic disease which is commonly found on both fish were even more prone affecting discus. Other than that, the pH of the water is also another consideration because angelfish would thrive between pH 7 to 8 while discus generally prefers lower pH value at the range of 5 and 6. Therefore, fish owners will either have to choose between separating both species to different tank or risk having either one of them accommodating the other. 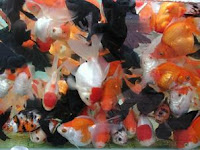 Goldfish is also another example whereby aquarist would try to mix them with other fish species. However, based on my experience, goldfish are best left in their own tank. First reason on why I would say that is because Goldfish generate a lot of waste. They have huge appetite that sometimes, whatever fish food that you put in may not seem enough to feed them. They will gobble up almost everything and nothing is left for other tank mates. Goldfish is also cold water fish that thrives in temperature between 18 to 22 degC and somehow all of the tropical freshwater fish require much higher temperature than this. Although they are peaceful in nature, most of the time, they become targets of abuse and attack by other larger fish. Checking fish compatibility is a very important consideration when selecting your type of fish for your home aquarium. I suggest you have a read up as well on what is a community aquarium.